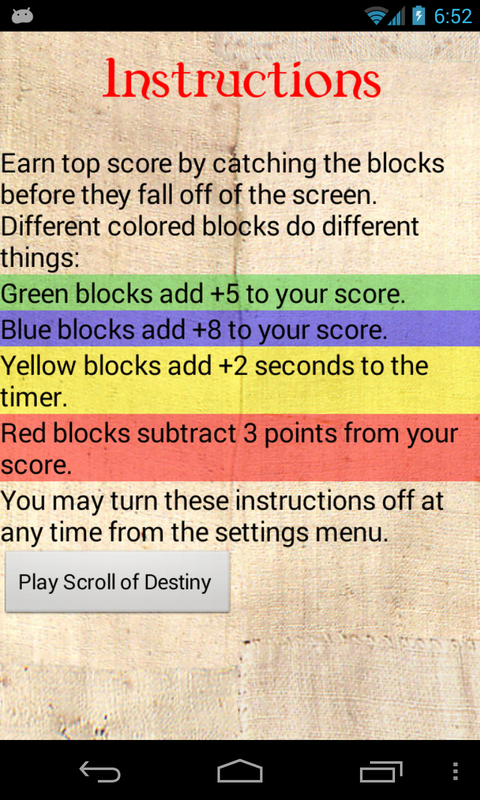 Fulfill your destiny in Scroll of Destiny! 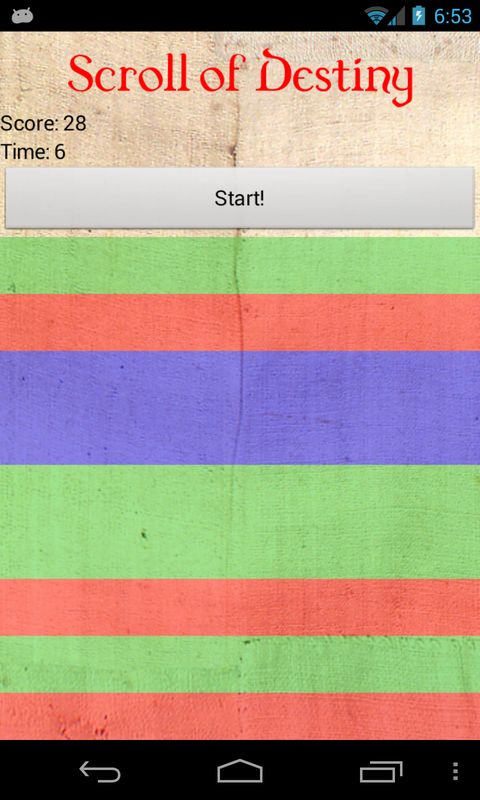 Earn a top score by tapping on the falling colored blocks as they scroll down the screen, while avoiding the evil red blocks. 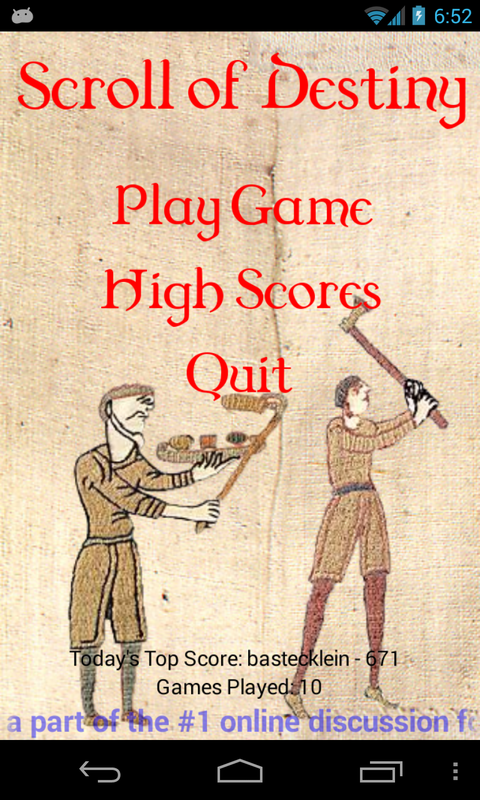 Compare your high score to those across the world!